Commons questions and answers related to men with low testosterone. How is natural testosterone produced? While asleep early in the morning, the brain signals the pituitary gland to produce intermittent pulses of Luteinizing Hormone (LH). This hormone stimulates the testes to make small amount of estrogen and testosterone. Dihydrotestosterone and estradiol are further metabolizes to produce the desired effects. What are the desired effects of Testosterone and Estradiol? Testosterone increases strength by producing more lean muscle mass. Estradiol reduces fat, enhances brain function and reduces the chance of developing osteoporosis. Both, together, increase erections along with sexual desire and performance. Together they have a positive effect on cerebral function, cognition, mood and behavior. Should estrogen production be blocked by aromatase inhibitors during T replacement? No! 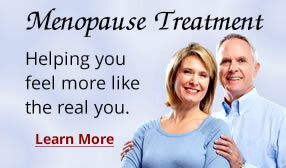 Without the estrogen effect, much of the positive changes from T replacement are eliminated. Usually, more central body fat results and sexual performance decreases. What if Estrogen is added to the T replacement? This is not a good idea, as it results in medical castration! What are my optimal levels of T and Estrogen? Your personal levels where you feel and perform the best are unique to you. Usually, you should strive to be in the upper limits of the normal T range with low, but measurable, levels of Estrogen. What medical concerns should I have if I were to elect to receive T replacement? Worsening of sleep apnea: some men who snore have been reported, in the literature, to require CPAP for sleep apnea after receiving T replacement. I have had no patients, thus far, who progressed from snoring to receiving CPAP. Elevated blood density, as measured by the hematocrit (Hct): T stimulates the bone marrow to make more red cells. Sometimes this creates an iatrogenic polycythemia, where the red cell volume is too high. If the Hct reaches 55, I usually recommend "donating" a unit of blood or withholding the T therapy. Possible increased cardiovascular risk: a recent article in JAMA studying veterans who had a significant number of comorbidities and underwent coronary angiograms showed a possible increased chance of death, stroke and heart attack. Further investigations are ongoing, similar to further studies on cardiovascular risk from taking NSAID's (Celebrex, Motrin, Aleve, etc). I recommend each patient take an enteric-coated 325 mg ASA each day. Possible stimulation of occult prostate cancer: There is a current controversy over when and for whom PSA testing should be done. We require and annual test, along with a digital rectal exam by a qualified medical practitioner to help identify those men at risk. If a concern is raised, we refer or return you to a knowledgeable urologist to recommend appropriate treatment. Injection site sequelae: Like any minor surgical procedure, the placement of pellets may result in a hematoma, infection, and in very few, extrusion of the pellets. We do our best to prevent/treat these sequelae so that most men can continue with the pellet therapy, if they so desire. The insertion charge is $150, and each T pellets costs $50. There is a 1 time office charge of $150 for new patients. # of pellets to be determined by blood levels. Is it possible my insurance will reimburse me? Yes. The T pellets are FDA approved for men. My office will provide all the required information and help you obtain your maximum reimbursement whenever possible. If I select T pellets, do I have a long-term commitment, like joining a gym? Absolutely not! You may discontinue therapy at any time, and you only pay for what you receive. There is no yearly contract or prepaid charges. Yes. Bio-identical just means the hormones are plant derived, as opposed to the most commonly prescribed estrogen for women: Premarin, which is isolated from horses. 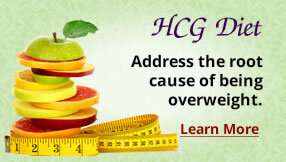 What would HCG injections do for me? Can my wife/girlfriend have similar hormone replacement therapy (HRT) with pellets? Absolutely! Treating the couple makes common sense. 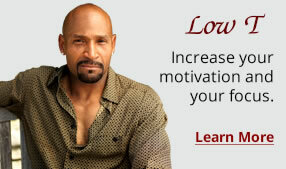 Why should only one have a better mood, increased sexual desire and more lean muscle mass, and the other doesn't? How long have you been treating couples/men/women with hormones? Are there any scientific articles you can recommend if I wanted to do more extensive research into the subject? How do I/we get started? 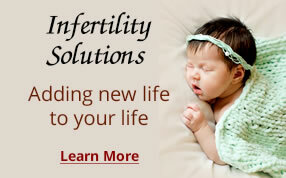 Pick up the phone and call 888-811-8741 for an appointment.